Finally, an intimate cream that’s 100% natural. Extra Virgin Olive Oil was chosen as a base, as it is naturally antibacterial and anti-fungal, and is high in antioxidants, hence is self-preserving without the need to add chemical preservatives. Olive Oil also has a low comedogenic rating, hence it is less likely to block pores than other oils such as coconut oil. 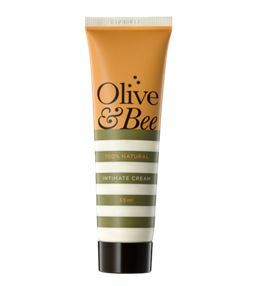 It was formulated with beeswax as this is a natural thickener with anti-inflammatory properties. Both substances are anhydrous, which means they have low water activity, hence don’t grow nasty bacteria, fungi or mould. The low water content also means that they won’t interfere with vaginal pH as other substances can. with the integration of best research evidence with clinical expertise and patient values.